You are at:Home»Operations»Who’s on the Move in F&B? Dream Hotel Group has appointed Dimitri Mitropoulos as VP of food and beverage, overseeing the delivery of all food and beverage operations at Dream Hotel Group properties worldwide, including the soon-to-open Dream Nashville. Based in New York City and bringing more than 15 years of experience in the hospitality industry to the role, Mitropoulos will be responsible for providing strategic leadership, guidance and direction on all new and existing concepts and initiatives. He will also lead the charge in the creation, implementation and daily monitoring of standard operating procedures and structure for all food and beverage outlets. One Off Hospitality and James Beard award-winning chef Paul Kahan, in tandem with the Thompson Chicago hotel, have named Joe Lambert as the brand new executive chef of Thompson Chicago’s culinary programs, including Nico Osteria. Expanding his reach to encompass multiple facets of the Thompson Chicago hotel, Lambert will lead the culinary programs for Nico Osteria and Salone Nico, as well as the hotel’s banquet and catering offerings. The Mandarin Oriental, Miami, located on the island of Brickell Key, has appointed Miguel de Arregui as director of food and beverage and Jamon O’Brien Harper as executive pastry chef. Previously, Arregui accumulated more than 20 years working both in the kitchen as a chef and partner at Alma Cocina in Ecuador until 2013 when he transitioned to general manager at db Bistro Moderne, followed by director of food and beverage at the JW Marriott Marquis Miami & Hotel Beaux Arts, where he remained until his recent appointment. O’Brien Harper has worked at the Fairmont Orchid Resort in Hawaii, Four Seasons Hotel Boston and Palm Beach and, most recently, Monarch Beach Resort in Dana Point, where he was awarded Orange County’s Golden Foodies Pastry Chef of the Year. The Peninsula Hong Kong has added Francois Delaire as executive pastry chef. Over the past 12 years, he has worked for some of France’s finest restaurants including Patisserie Mourot Devos in Dijon, Café de la Paix at Le Grand InterContinental, Paris and the three-Michelin-starred Le Pré Catelan Lenôtre, also in Paris. He then moved to London to become head pastry chef at the one-Michelin-starred L’Atelier de Joël Robuchon, before relocating to Asia to take on the role of head pastry chef at the three-Michelin-starred Robuchon au Dome in Macau, followed by a stint as head pastry chef at one-Michelin-starred Rech By Alain Ducasse in Hong Kong. 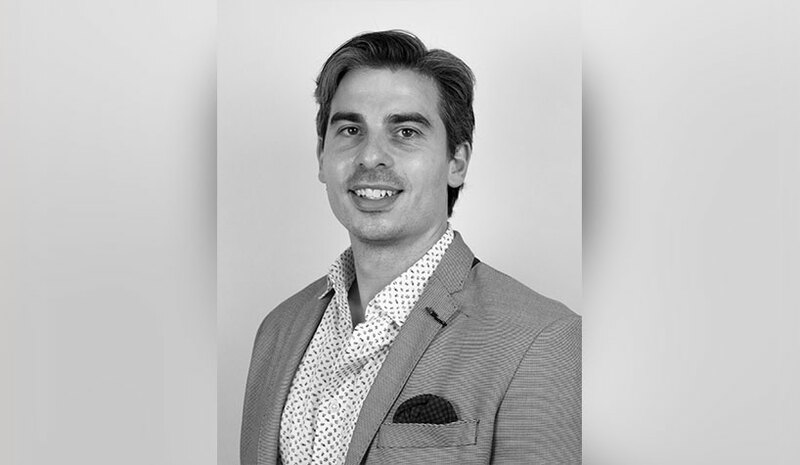 JW Marriott Nashville has appointed Alexander Schnoeller to director of food and beverage for the 33-story property, which opened in June 2018. In this role, Schnoeller oversees the property’s food and beverage outlets, including Bourbon Steak by Michael Mina, Stompin’ Grounds Restaurant & Market and Cumberland Bar. He will also manage all banquet and catering services, as well as in-room dining. Most recently, Schnoeller served as the director of food and beverage at Eden Roc Miami where he led a $40-million food and beverage operation for the hotel’s 600 rooms and six restaurant outlets as well as all banquet facilities at the convention center. Ritz-Carlton, Bahrain has named Yann Lejard as executive chef. Lejard will oversee a culinary team of 130 chefs, along with the menu creation and kitchen operations of the resort’s 11 restaurants, in-room dining and banquet catering divisions. Before joining The Ritz-Carlton Hotel Company LLC, Lejard held culinary positions in major Michelin Star restaurants, including working as a Chef Saucier for names like Heinz Winkler in Germany and Peter Knogl in Switzerland, as well as leading international hotels across 20 countries. Hotel Matilda has named Francisco Ibañez the executive chef of Moxi; in this role, he introduced a new menu. Ibañez comes to Moxi from Pujol in Mexico City, where he was executive chef of Enrique Olvera’s internationally celebrated restaurant.